Two years ago, I got fired. And because I’m a damn professional, I wanted to learn from it. I wanted a lesson. An equation formulated of: If, next time, I do X + Y x Z it’ll work out. But, business isn’t math. Sometimes your equations are correct and your work is shown, and you still get fired. I own a startup social media agency. Our first year was successful beyond expectations. We’ve worked with local, regional and national clients and even won a few awards. We’ve kept things small and efficient. We’ve chosen clients and projects that we’re passionate about and we’ve done damn good work for them; work that speaks for itself and has the metrics to back it up. Notice how your stomach dropped and your heart rate sped up just at the thought of being on the receiving end of that message? You just know something is going to go wrong. Over a you-pick-two soup and salad, the client told me that, for financial and political reasons, they’d decided to move social media management in-house. They loved the work recognized how successful it has been—it was just the situation they were in. Deep breath. OK. What’s next? Not thriving in an environment (inapplicable). Not taking your job for granted (got it). Brainstorming ways you can perform better next time (inapplicable, see results above). Clarifying expectations (contract expectation met and exceeded). None of these suggestions seemed to apply to my situation. Here’s what I know: The work was good, plain and simple. What I learned is this: sometimes there is nothing to learn. Sometimes there’s no rhyme or reason, no mistakes that were made. Sometimes budgets change, and teams reorganize and priorities shift. Sometimes it’s not you, it’s them. Sometimes Henry Ford and throw pillows are wrong. And sometimes you just use it an an opportunity for an article, pour one out to all the followers they won’t get now, and move on. 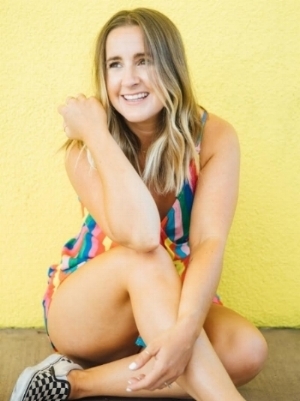 Kayla Beckmann Barnhart is the Founder and CEO of Small Fox Media, a boutique social media agency based in Denver, CO. She loves adventuring with her husband, Guy and dog, Huckleberry, a good vanilla almond milk latte, and using alliteration. Follow her on the gram at @kaylabeckmannbarnhart + @smallfoxmedia.